At HDR, we specialize in engineering, architecture, environmental and construction services. While we are most well-known for adding beauty and structure to communities through high-performance buildings and smart infrastructure, we provide much more than that. We create an unshakable foundation for progress because our multidisciplinary teams also include scientists, economists, builders, analysts and artists. That’s why we believe diversity is our greatest strength. HDR is proud to be an equal opportunity workplace and an affirmative action employer. We believe that the way we work can add meaning and value to the world. That ideas inspire positive change. That coloring outside the lines can illuminate fresh perspectives. And that small details yield important realizations. Above all, we believe that collaboration is the best way forward. Work on environmental and architectural acoustics assessments including noise and vibration analyses. Evaluate noise and/or vibration from surface transportation systems including highways, rail, and other forms; also work on noise and vibration studies for industrial and infrastructure projects. Bachelor’s degree in Acoustics, Engineering, Math, Physics or closely related field. Must have strong oral and written communication skills. Familiarity with GIS and FHWA’s Traffic Noise Model (TNM). Proficiency with state-of-the-art with tools used to measure acoustical values, noise, and vibration and software used to process and analyze that measurement data. Must be familiar with relevant ISO, ANSI, ASTM and related acoustical standards. Must have some experience with current guidance documents for performing acoustical analyses (FHWA, FTA, FRA, etc.). Familiarity with REVIT, EASE, INSUL, and Trane Acoustics Program (TAP) or equivalent room acoustics modeling software, sound isolation modeling software, and mechanical noise modeling software. Excellent oral and written communication skills, and the ability to work independently are required. Must excel at being a member of a team. Requires occasional travel and use of measurement equipment in the field. 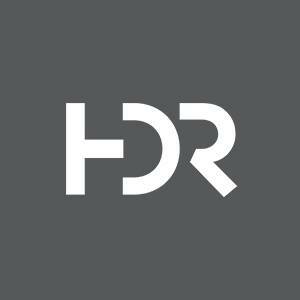 At HDR, we know work isn’t only about who you work for; it’s also about what you do and how you do it. Led by the strength of our values and a culture shaped by employee ownership, we network with each other, build on each other’s contributions, and collaborate together to make great things possible. When you join HDR, we give you license to do the same. We help you take charge of your career, giving you multiple growth opportunities along the way.